Ada pertanyaan untuk Mud Hut Motel? 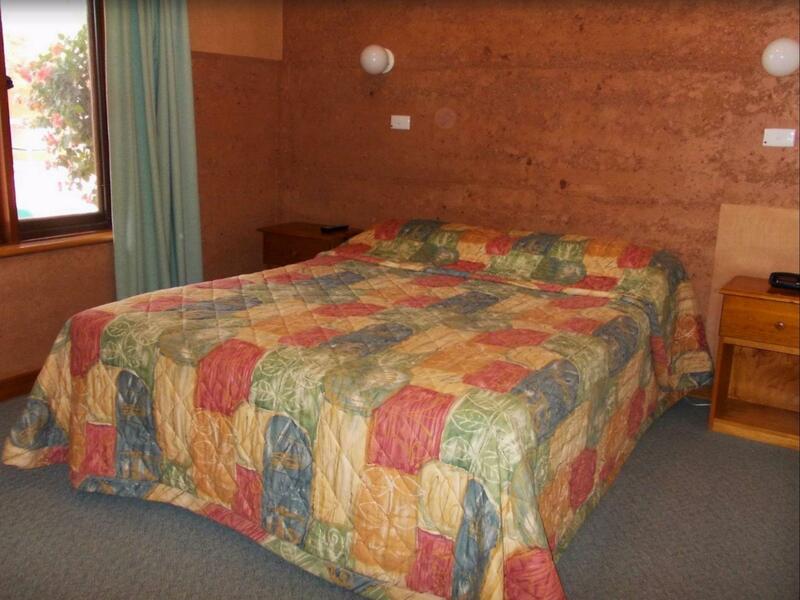 Mud Hut Motel, terletak di Coober Pedy, adalah pilihan yang populer bagi para wisatawan. Terletak hanya 1.5 km dari kehebohan pusat kota, properti bintang 3.5 ini memiliki lokasi yang bagus dan menyediakan akses ke obyek wisata terbesar di kota ini. Karena lokasinya yang strategis, properti ini memiliki akses mudah ke destinasi yang wajib dikunjungi di kota ini. Gunakan kesempatan untuk menikmati pelayanan dan fasilitas yang tidak tertandingi di properti yang ada Coober Pedy ini. Ketika menginap di properti yang luar biasa ini, para tamu dapat menikmati WiFi gratis di semua kamar, layanan kebersihan harian, fasilitas untuk tamu dengan kebutuhan khusus, Wi-fi di tempat umum, tempat parkir mobil. Nikmati fasilitas kamar berkualitas tinggi selama Anda menginap di sini. Beberapa kamar memiliki televisi layar datar, linen, handuk, akses internet - WiFi, akses internet WiFi (gratis), yang disediakan untuk membantu Anda mengumpulkan tenaga kembali setelah beraktivitas seharian Properti memiliki berbagai pilihan fasilitas rekreasi yang memungkinkan Anda melakukan bermacam hal selama menginap. Temukan perpaduan menarik dari pelayanan profesional dan sejumlah fasilitas yang ada di Mud Hut Motel. 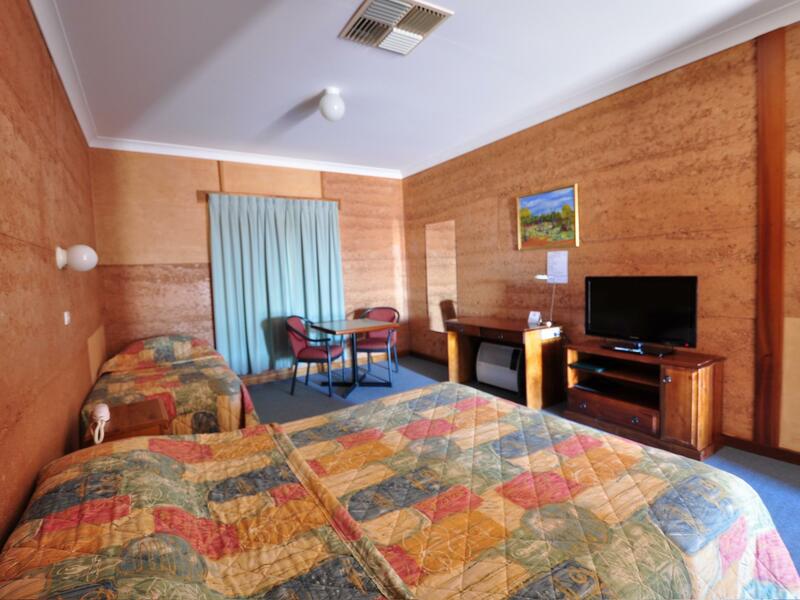 This was our third stay at this motel and it is consistently good. 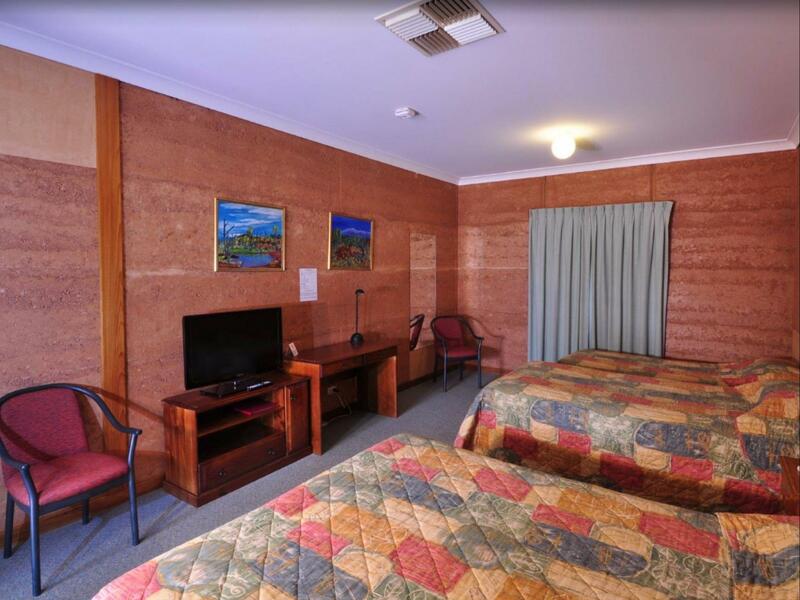 Comfortable beds, well furnished and equipped rooms. Nice place, friendly staff, clean rooms, close to food and drinks. Such fantastic service! Friendliest/most genuine smile entering a hotel/motel I’ve seen in a long time! Room was great, WiFi was good and overall just well appointed with, namely, power points. Would absolutely stay again! The wifi was really fast. All facilities were great, and we slept well! everything was perfect. i have no complaints. Nice clean accommodation. Rammed Earth construction, so good sound and heat insulation from the outside, but noise insulation between rooms is poor. Love the Mud Hut...always have...once is enough for the underground cave experience...after you've done that...the Mud Hut for mine. Clients with pets should be accommodated within a block. Pets get noisy in the evening, and the room walls are too thin. All night one can hear barking and shuffling next doors. At the end of the day travelers need good rest. We walked into a wall of fly spray !, we opened the door and windows, turned on the non adjustable air conditioner , and sat outside for half an hour. Went into a cold room to find the fly spray smell was still eye stingingly bad!. Sat outside again, thought the can of spray on the bench must've been leaking, so moved it into the car park. Then decide to go get pizza, even the pizza smell only overpowered the fly spray for an hr! Don't know what they did, but it was terrible and made for a rather uncomfortable stay sadly. It's good location, friendly staff and clean room. 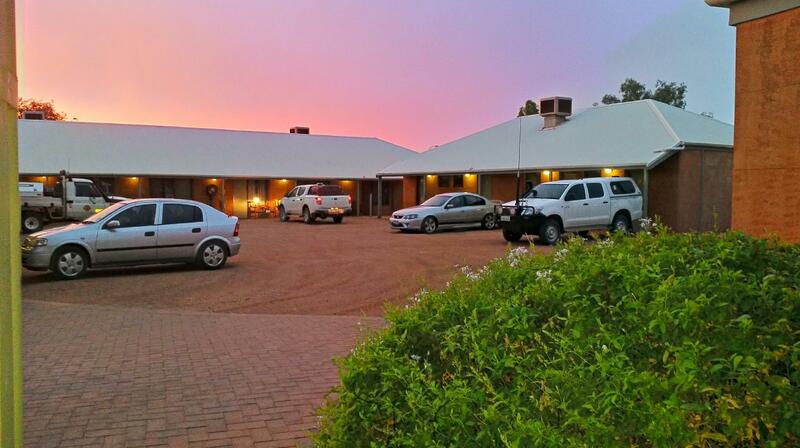 We enjoyed our short stay at the Mud Hut Hotel in this very remote part of Australia. Breakfast was the only meal available, although we were able to purchase a packed lunch on the day we left, which was excellent. 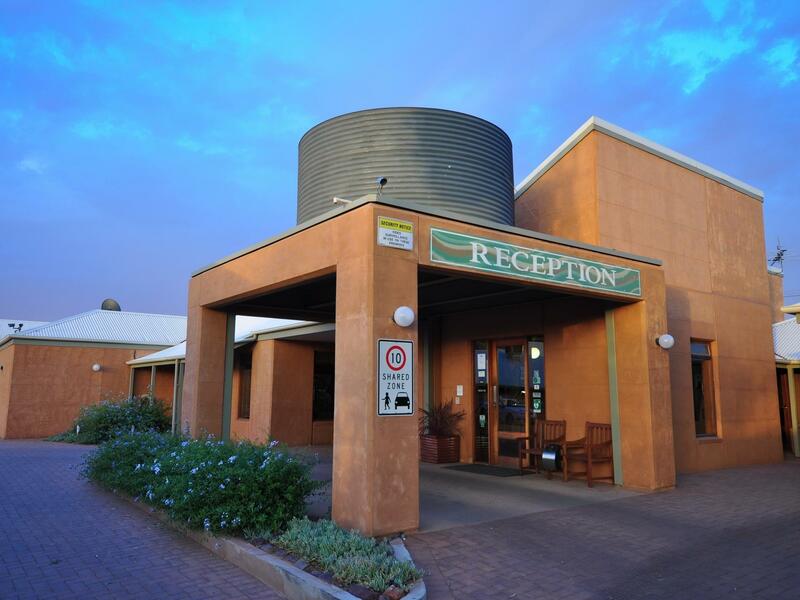 As we enjoyed the location & friendliness on our overnight stay on our roadtrip from Darwin to Adelaide/Melbourne we decided to stay there ad=gain on the return trip. The Manager was friendly & helpful with tour advice.